For thousands of years, mankind has been blessed with horses in our lives. The horse is the symbol of strength and courage. What other animal has been such an icon of stability & grace? I mean come on…. you don’t see frogs doing that…. or cows?I mean really…..do you? 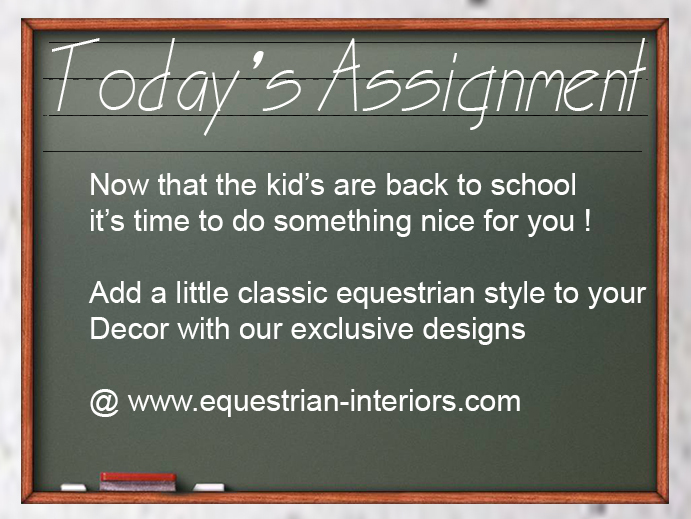 As an interior designer and avid equestrian I am always coming up with creative ways to bring my love of horses home. The best way to do this is to use some of the ridiculous amounts of tack we’ve all accumulated over the years! I hope you enjoy this blog and if you have any creative ideas you’d like to share with us ….we would love to hear from you ! Mary Cox is a Seattle based Interior Designer with a passion for color and design. www.alittleaccent.biz Incorporating her resourceful decorating style with her incredible eye for color, she has been highly successful in creating imaginative environments for over 20 years. Her projects have taken her to New York, Kentucky, Washington, and Colorado. She is a member of the NWSID (Northwest Society of Interior Designers), has written numerous design articles for magazines and newspapers. Her other lifelong passion has been horses. She has ridden and competed in Hunter- Jumper competitions since she was a child and in the past 10 years has turned her interest to Dressage. 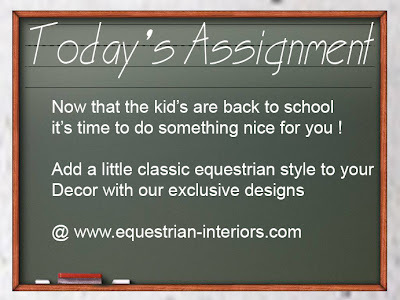 Mary recently launched a classic equestrian home decor line Horse of a Different Color @ www.equestrian-interiors.com.